Working offshore can be a difficult job, and not without risk of injury. Seamen are often vulnerable to a wide range of offshore accidents that can lead to severe injury or death. Richard J. Plezia & Associates have extensive experience representing men and women who work in maritime occupations. These common offshore injuries Texas workers experience can be avoided if owners and operators follow the appropriate rules and regulations. Cutting corners to save time or money is negligent, and routinely causes injury to employees. If you or a family member has been injured while working on an offshore job, call Rick Plezia at 713-800-1151 today to schedule a meeting with our maritime attorneys. Back injuries: Back injuries are not often life-threatening, but they can severely limit the ability of seamen to do their jobs. Treating back pain can be an arduous process involving a combination of surgery, physical therapy, and rehabilitation. Back injuries can occur in a variety of scenarios, most often when lifting or lowering too much weight at a distance away from the body. Burns: These injuries can be among the most severe, with long-term physical and emotional scars. Burn treatment is very painful and can include skin grafts and plastic surgery. Scarring can be permanent. Spinal cord injuries (SCI): Injuries to the spine can lead to paralysis and the loss of limb function. SCI’s are the main cause of paraplegia and quadriplegia. These are career ending and life altering injuries. Amputations: Working with large, heavy equipment requires proper training and proper maintenance. When ignored, the equipment becomes a danger that may lead to losing all or part of a limb. Crush injuries can also harm a leg or arm badly enough that amputation is the only recourse. Crush injuries: Similar to amputations, crush injuries are often the result of poor operation or maintenance of equipment. Crush injuries are one of the top causes of maritime employee wrongful death. Eye injuries: Vision loss or severe vision impairment can keep a seaman from returning to work. Blindness may occur if chemicals are part of the accident. Hearing Loss: Offshore equipment is loud and routinely requires ear protection protocol. The absence of earplugs or earmuffs can cause temporary or permanent acoustic damage. 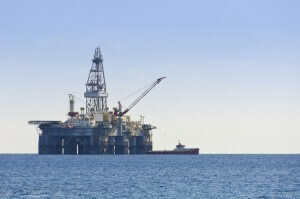 Injuries that occur from the many different types of offshore accidents range in cause and severity. Even a small injury can result in long-term pain and rehabilitation. The law firm of Richard J. Plezia & Associates will take on any case of offshore injuries Texas workers endure, determined to hold negligent owners and operators accountable for your accident. Call today to speak with our offshore injury attorneys. You may be eligible for financial compensation to cover your medical bills, room and board, lost wages, and pain and suffering.